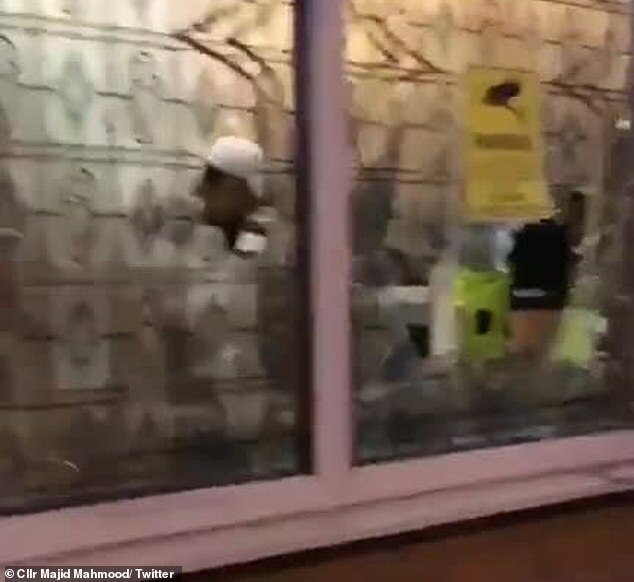 Counter-terrorism officers are investigating after four mosques in Birmingham had their windows smashed in overnight with a sledgehammer, prompting an imam to ask police for more protection ahead of Friday prayers. 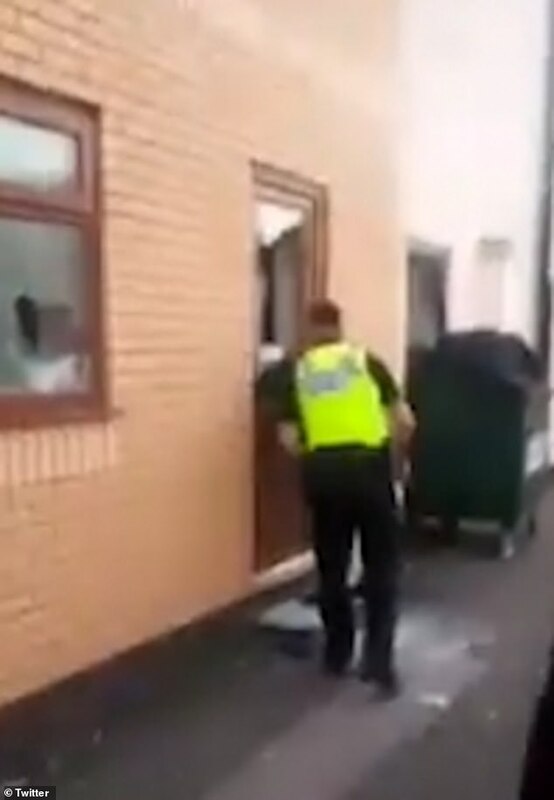 Seven windows and two doors were smashed in the late night attack at the Witton Road Islamic Centre in Witton. The mosque's imam says that the attack took place between 1.30am and 2am with West Midlands Police saying they were alerted to the attacks throughout the night. They are yet to confirm the motive behind the late-night rampage and the West Midlands Counter Terrorism Unit is also investigating. 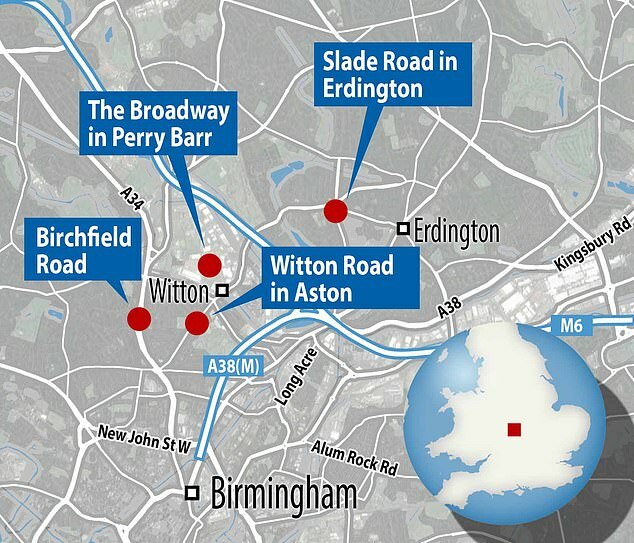 The mosques attacked are on Birchfield Road, Slade Road, Broadway and Witton Road in the city. Officers were called to the mosque on Birchfield Road at 2.32am before realising that the attack had happened earlier. At 3.14am, they were alerted to a similar attack at the mosque on Slade Road, Erdington. 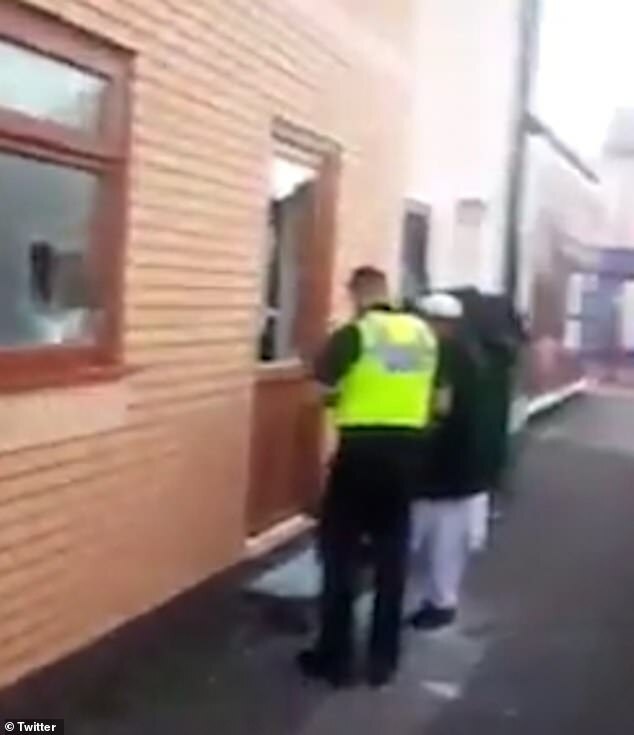 Police then began patrols in areas with mosques and came across further damage at places of worship on Witton Road, Aston, and at Broadway, Perry Barr. Forensic officers are working to identify evidence, and CCTV is being examined. 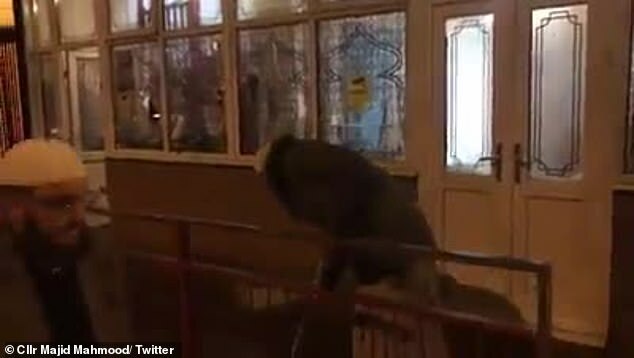 Footage of the damaged Witton mosque was posted online by Labour party Councillor for the Bromford and Hodge Hill ward, Majid Mahmood. 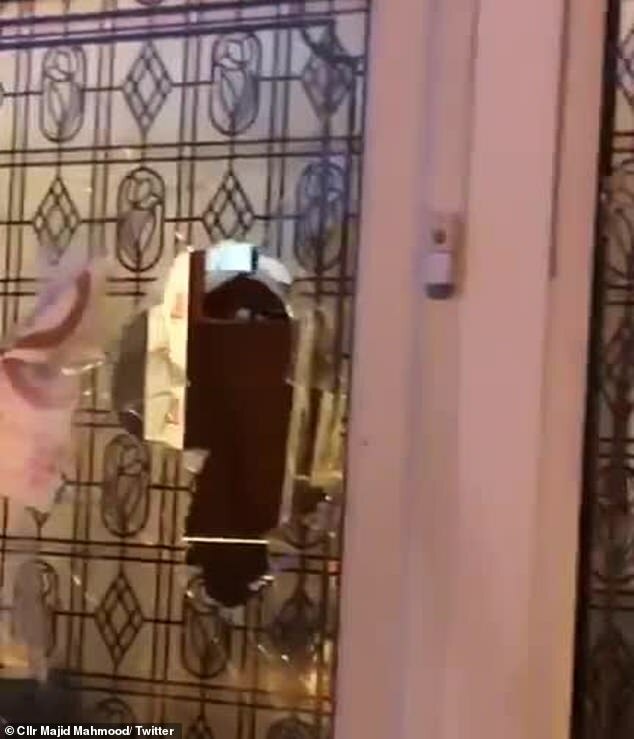 He tweeted: 'Unfortunately the Witton Road Islamic Centre was attacked overnight by an individual who used a sledgehammer to break the windows. 'I said last week that Muslims were afraid after the terrorist attacks in Christchurch. His words were echoed by the Imam of Witton Islamic Centre. Sharafat Ali, 66, told Birmingham Live: 'Its terrible, the community is shocked because of what's happened in New Zealand. 'We've been here for 30 years. In the morning you get 40 worshippers for morning prayer, on Friday you get about two to three hundred. 'This doesn't happen in Aston. 'Tomorrow is Friday prayers and I don't know what's going up happen. Shabana Mahmood, Labour MP for Birmingham Ladywood, tweeted: 'The reports of attacks on mosques across Birmingham are truly terrible. 'I have spoken with the Chief Constable & will be in constant contact with community leaders throughout the day. West Midlands Police Chief Constable Dave Thompson said: 'Since the tragic events in Christchurch, New Zealand, officers and staff from West Midlands Police have been working closely with our faith partners across the region to offer reassurance and support at mosques, churches and places of prayer. 'At the moment we don't know the motive for last night's attacks. 'What I can say is that the force and the Counter Terrorism Unit are working side-by-side to find whoever is responsible. 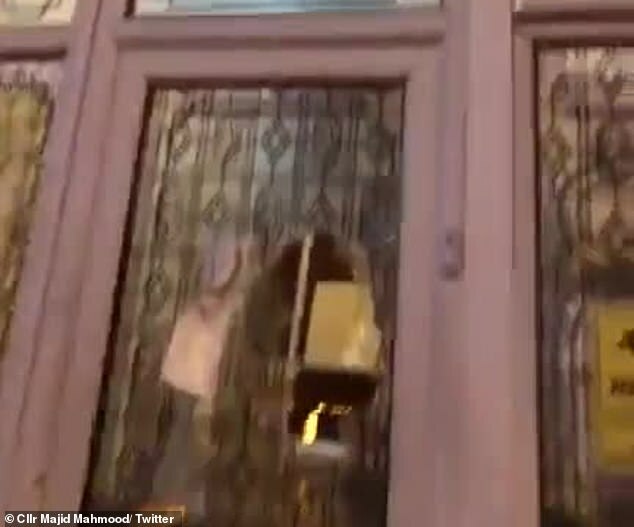 John Cotton, Labour councillor for Glebe Farm and Tile Cross areas in the city, tweeted: 'Appalled to see that Birmingham mosques have been the target of vandalism and violence overnight. 'I'm working with @WMPolice & @BhamCityCouncil to ensure we find those responsible & support our Muslim communities. The Birmingham Council of Mosques said it a statement: 'As far as we can tell the Masajids were based around Handsworth/ Aston and Witton. 'We ask the masajids to be vigilant and do not hesitate in reporting any unusual/suspicious behaviour to the police immediately.